Enjoy the beauty of tiffany with this stylish 3 light ceiling fitting, a new design from the Camillo Tiffany lighting range. 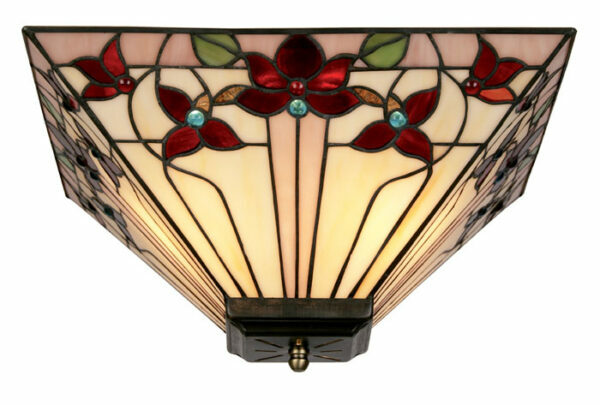 Beautiful angular flush fitting Tiffany ceiling light finished with colourful jewelled Tiffany shade. The colours in this range glow with warm subtle base colours of cream blending into a centre and border of flush rose. The red rose tiffany motiff and blue glass bead jewels create the perfect enchantment of Tiffany lights.